Story: Open-minded and out going, thoughtful and insightful, this royal lady is the life of the garden party. Toss your tiara by the wayside and rule in the Queenie. 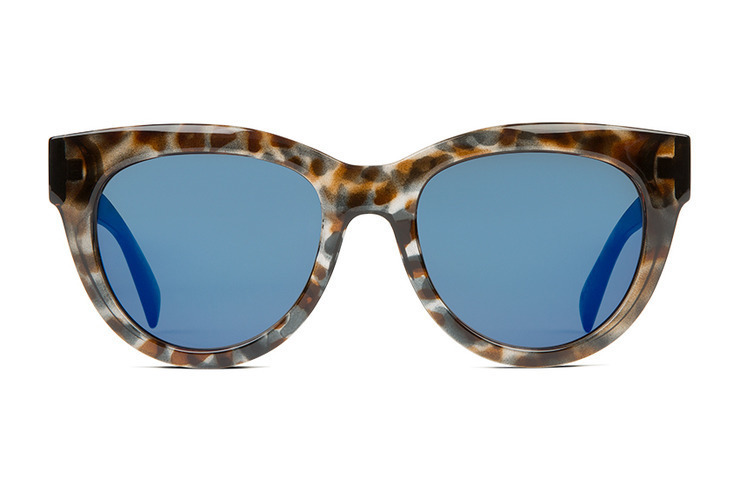 Specs: VonZipper Queenie women's sunglasses are handmade in Italy; the frame is crafted from nylon grilamid and held together with stainless steel optical hinges. The base 6 spherical impact resistant polycarbonate lenses will protect your eyes with 100% UV protection.